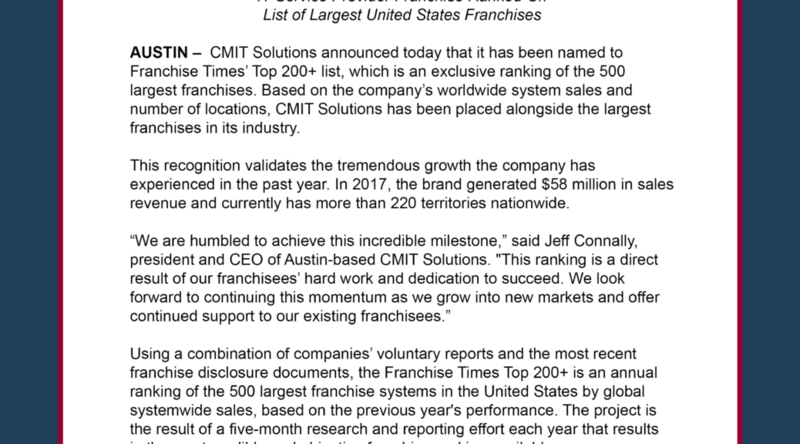 AUSTIN – CMIT Solutions announced today that it has been named to Franchise Times’ Top 200+ list, which is an exclusive ranking of the 500 largest franchises. Based on the company’s worldwide system sales and number of locations, CMIT Solutions has been placed alongside the largest franchises in its industry. 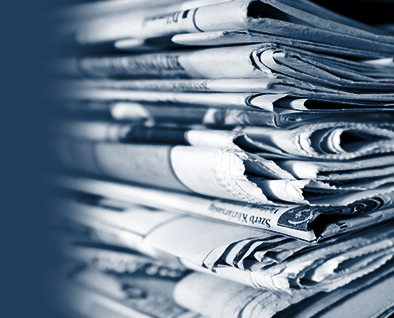 This recognition validates the tremendous growth the company has experienced in the past year. 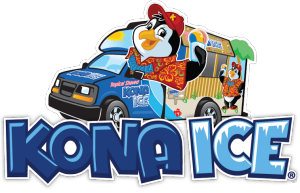 In 2017, the brand generated $58 million in sales revenue and currently has more than 220 territories nationwide. CMIT Solutions’ services help companies keep their strategic IT goals in focus by ensuring their computer systems are running, their data is protected, their network is secure, and, most importantly, their employees are productive. As a result, business owners increase the productivity of their employees, eliminating the frustrations that go along with today’s modern technology issues. Entrepreneurially spirited individuals interested in owning a CMIT Solutions franchise should have the ability to invest 128,300, which includes working capital and a typical franchise fee of $48,950. 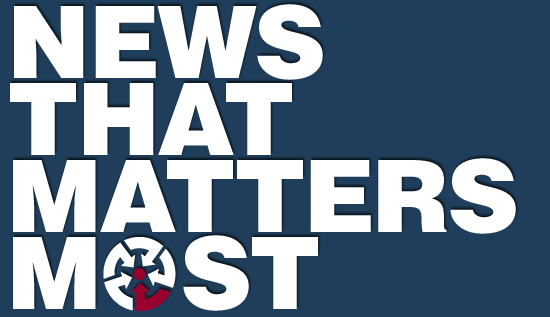 CMIT franchisees are provided with a sizable territory based on ZIP codes and can expect to have 3,000 to 4,000 prime targets.